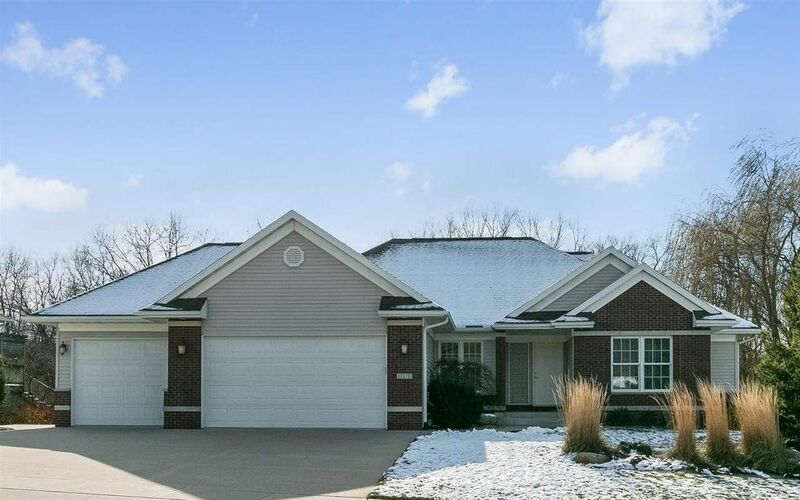 Attractive custom walkout ranch in Forest Edge Estates in great condition. Parade home w/plenty of amenities. Open plan main level is bathed in natural light during the day & glows w/cove lighting in the evening. Enjoy the fabulous custom screen porch w/wooded views, tranquil pond waterfall. Kitchen w/cherry cabinetry, granite, breakfast bar & pantry. Living rm w/fireplace. ML master suite, cathedral ceilings, hrdwd flrs. LL walkout family rm.